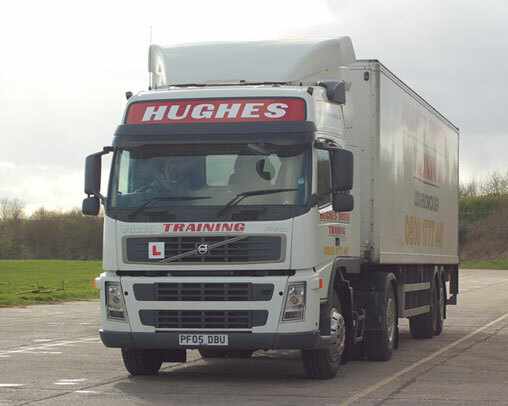 HGV Driver Training from Hughes Driver Training. HGV drivers and PSV drivers are always in demand. It is rather confusing, but HGV and LGV are the same vehicles. Our Head Office is in Leicester but we have training centres that cover the following areas: Leicestershire, Derbyshire, Nottinghamshire, Northamptonshire, West Midlands, Cambridgeshire, Buckinghamshire and Bedfordshire. We specialise in training all classes of LGV from 7.5 tonne to Class 1 and PCV from Minibus to Coach and trailer. We also train for Car & Trailer. Our prices are competitive and we offer help and support at all stages. Why become a lorry or bus driver? HGV drivers can earn in excess of £32k a year depending on experience, location and shift patterns. You could always increase your earning potential by doing one of our Hi-ab lorry loader courses once you have passed your test. Will I get a job after? There is currently a high demand for HGV drivers and this is more so with the Drivers CPC in force. Please contact us for our latest prices or you can book online to take advantage of our current offers. Please leave a message and somebody will be in touch shortly. Thank you. Are you ready to let us manage your HGV Driver Training requirements?